Rebecca, Nathaniel, and Josh sing about how no one else understands them. 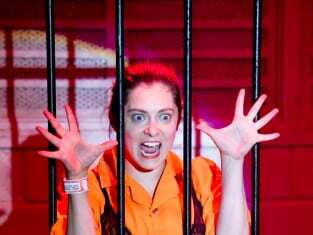 Crazy Ex-Girlfriend Season 4 Episode 1: "I Want to Be Here"
Paula: If you don't wake up now and confess to everything, I am going to call Princeton and tell them to take back your degree. Trent: Actually, I went to school in Boston. Permalink: Actually, I went to school in Boston. Look, Josh, I really respect your search for self but these are actual disorders people suffer from and you're treating it like you're just identity shopping.